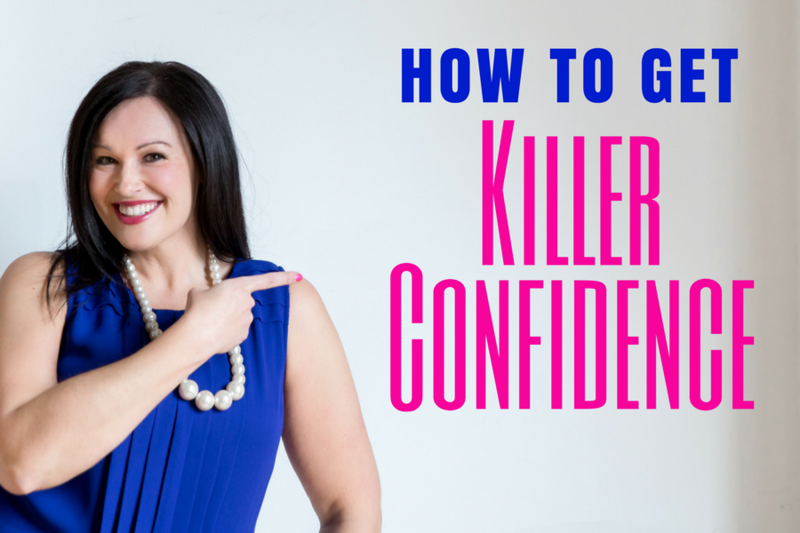 How to Get Killer Confidence! Yesterday, I was on a coaching call with my life coach, who I’ve been working with for almost 5 years when I realized my problem with confidence. So, like any good coach, she turned it back on me. DAMN! I hate answering hard questions. This is what I’ve come up with, and MAKE NO MISTAKE, this post is written by me for me, but I realize I’m not in this alone and that y’all need some confidence too, in fact, when it comes to money, the reason why most people don’t take financial action is because of their lack of clarity and confidence. I know how you find clarity. Clarity comes from taking action. Period. When you take action, you make decisions, see what feels right, what feels wrong and begin to see and figure out what you want. So to get clarity -take action. Especially important if you are in a state of confusion or you feel you are stuck, taking action will help. Important here is to not let fear of failure stop you, try something and then if it doesn’t work, who cares, you now know that that’s not what you want for your life. I do know how you find confidence too, I just didn’t ever consciously think about it. AND THEN BOOM, it hit me. Confidence is a FEELING and you need to create those FEELINGS inside of you & believe those feelings inside of you to be able to be confident in whatever you do. But then WHY do I not have confidence around the stuff I already know? It’s because I don’t think I’m worthy enough or smart enough or pretty enough or skinny enough or rich enough, and on and on. AHHHHH – good ol’ negative self-talk comes back to bite me in the ASSets once more! So what do we (I) do? And most importantly, do it all with BELIEF. You need to believe your inner voice. You need to shut out the noise of other’s voices in your head and really believe that God/the Universe has your back. Changing the thoughts around your confidence will in time give you the belief you need to create the feeling of confidence, which will lead you to action and then to your desired results! Do whatever you need to to do re-frame that inner negative self-doubting talk and do it fast, so you can stand in confidence with what you were put on this earth to do! You were created to have all the confidence in the UNIVERSE to KNOCK IT OUT OF THE EFFING PARK! So, knock it out of the park! DON’T PAY DOWN YOUR DEBT!